Most major IT companies seem convinced that shoving everything into giant data centres in the sky is the solution to many essential computing tasks. Google has weened us into the cloud over the last few years with documents, storage, email – all of Google services in fact; Apple is hot on their heels with the launch of iCloud What iCloud Is & Why It Changes Everything [Mac] What iCloud Is & Why It Changes Everything [Mac] Perhaps the biggest announcement made by Apple at the recent WWDC was that of iCloud, but many people are understandably not sure what it is. Is it a streaming media service? 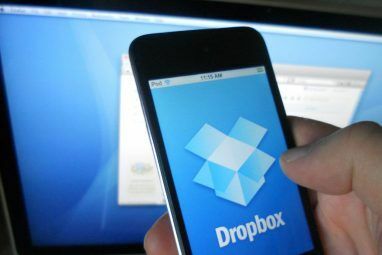 Is it a Dropbox... Read More ; and Dropbox is ubiquitous for simple file sharing. But what if you don’t want all your stuff on someone else’s servers? What if you want it at home, where you can physically touch it and have complete control over it? Let me show you how you can escape the cloud, without losing any of the functionality. 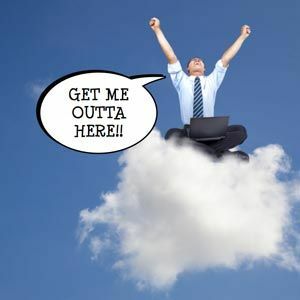 For many people, the cloud is an essential part of their backup routine – while for others it’s the only backup they do. Of course off-site backups are essential, but there’s more than one way to go about it. Consider the free CrashPlan application instead, which allows you to donate your spare hard drive space to either back up another of your computers, or even a friend’s machine. So with a cooperative friend, you can essentially become a cloud backup solution for each other! from an elevated command prompt). An Apple Time Capsule can do the same for your Macs. I also set up a Time Machine drive on my home server How To Backup Your Mac With A Homemade Time Capsule How To Backup Your Mac With A Homemade Time Capsule After losing some fairly important accounting files recently, I realised that my backup strategy is quite flawed. Although I take a weekly bootable backup of my Mac, that doesn't really help when I deleted the... Read More to emulate a Time Capsule, but sadly the hacks have been crippled in OSX Lion. FreeNAS Convert Old PC To Network Attached Storage with FreeNas Convert Old PC To Network Attached Storage with FreeNas Read More , or Amahi How To Set Up A Home Server With Amahi [Linux] How To Set Up A Home Server With Amahi [Linux] Read More are FREE Linux based solutions that can turn your spare PC into a feature-rich server, including network storage backups. Use 2 external hard drives – one to keep a daily full backup on, the other held in a remote location. Switch the two around every week to ensure you always have at most a week old offsite backup. You don’t need a DropBox to access your files from anywhere, but your solution will depend on what you want to do with them. Windows Live Mesh 3 Cool Things You Can Do With Windows 7 Cloud 3 Cool Things You Can Do With Windows 7 Cloud If you're running Windows 7, it's entirely possible you've never even heard of the Windows 7 Cloud. Beyond being the thing that came installed with your new computer, there's actually an awful lot of incredibly... Read More can sync files between computers, and you needn’t store them in their online cloud “live drive” if you only want them synced between machines. This is the closest solution to a DropBox without actually being stored anywhere other than on your own computers, but obviously requires that both machines be on and functioning at the time of Sync in order to show the latest versions. If you just need to make a few edits to files on the go, consider a remote control system instead. Windows for instance has built in remote control capabilities in the form of RDP, and there are free apps to access your machine CoRD - A Remote Desktop Client To Manage Your Windows PCs [Mac] CoRD - A Remote Desktop Client To Manage Your Windows PCs [Mac] Most computer users now work with several computers from several different locations. So it's only natural that there are times when we need to access one computer from another. This is where remote desktop applications... Read More by IP address on virtually every platform. Stepping up a level, LogMeIn is an annual paid service that takes the complications out of remote access and allows remote file transfers, so you can download files to your mobile device. There is a free version available, but it only offers remote access – no file transfers. I have done a round up of iPad remote access apps The Best Free Remote Desktop Apps for Your iPad The Best Free Remote Desktop Apps for Your iPad If like me, you often find yourself in the position of official technical support for your family and friends, you'll know oh too well the pain of trying to explain something over the phone. The... Read More before, but my personal favourite cross-platform app is SplashTop because of its blazing speed – you can even play games, the performance is so good. If you’re a registered Parallels user, there are free mobile apps to access your virtual machines on the go too. TeamViewer TeamViewer - Be A Remote Support Superhero! TeamViewer - Be A Remote Support Superhero! 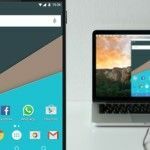 Read More is a good overall free cross-platform remote desktop app too, but aimed more at technical support. Alternatively you could just set up your own FTP server How To Set Up Your Own FTP Server With Core FTP How To Set Up Your Own FTP Server With Core FTP Read More at home, and with a little bit of port forwarding / router adjustments you could FTP into your home from anywhere in the world, which is a universally supported protocol. I’ve never really seen the point of putting my media in the cloud and paying through the teeth for the privilege, when there are so many free solutions that you can use to stream media from your home PC over the Internet. My personal app of choice is Plex Media Server Setup A Perfect Media Center With Plex [Mac & Windows] Setup A Perfect Media Center With Plex [Mac & Windows] Plex is widely regarded by many as being the best media player, manager and streaming application around - available for both Windows, Mac and even mobiles (though the mobile apps are not free). 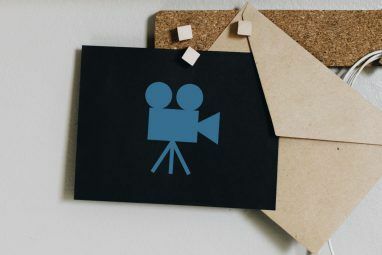 If you're... Read More , which allows simple, secure media streaming and transcoding to Mac and mobile devices. The mobile client is a paid app,but both iOS and Android versions are available. Mentioned before, Amahi Home Server also makes streaming easy with a variety of free Linux apps – of course, these are available to any Linux distribution, but Amahi ties them nicely together with the rest of its incredible features and easy app store installation process. Before setting up Plex, Air Video was my streaming video app of choice for the iPad and iPhone, though it does cost a little and there are no other clients available – it’s strictly PC/Mac -> iOS. I tried to find some suitable free alternatives for Android, but the best method I could find was abandoned, saying they had given up and moved to Plex because it’s much easier! If you have some good suggestions for Android, we’d love to hear about them in the comments. Do you have any other essential cloud services you couldn’t live without? Let us know if you think we missed something, and I’m sure we can suggest some good alternatives. I’m still eagerly awaiting the launch of iCloud myself, but that’s for other reasons What iCloud Is & Why It Changes Everything [Mac] What iCloud Is & Why It Changes Everything [Mac] Perhaps the biggest announcement made by Apple at the recent WWDC was that of iCloud, but many people are understandably not sure what it is. Is it a streaming media service? Is it a Dropbox... Read More . For the most part, I’m going to keep my backups local, my movies on my home server and generally stay the hell away from cloud services. Perhaps you can now, too. Explore more about: Cloud Computing, Cloud Storage, Remote Access. How about Barracuda Drive (http://barracudaserver.com/products/BarracudaDrive/). Haven't tried it myself yet (I really need to upgrade my storage capacity...and for that I need to upgrade my bank account), but the format seems similar to what you've described here. the website seems a little dodgy, I'm not sure if I'd trust the software! Looks far too expensive. Why pay? looks nice. do you use it yourself? think we should write a review of it? I do use it and it works shockingly well. Of course, it works best with a fast internet connection.